Are you fascinated by exotic and unusual cacti and succulent? Potted cacti and succulent plants take up a lot of room on windowsills and shelves that a lot of us don’t have. And an outdoor succulent garden isn’t a possibility in some climates. 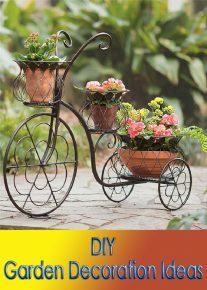 Fortunately, there are several succulent plants that are great candidates for hanging baskets. Check out these 3 unusual succulents you can grow up high away where kids and pets can’t reach. 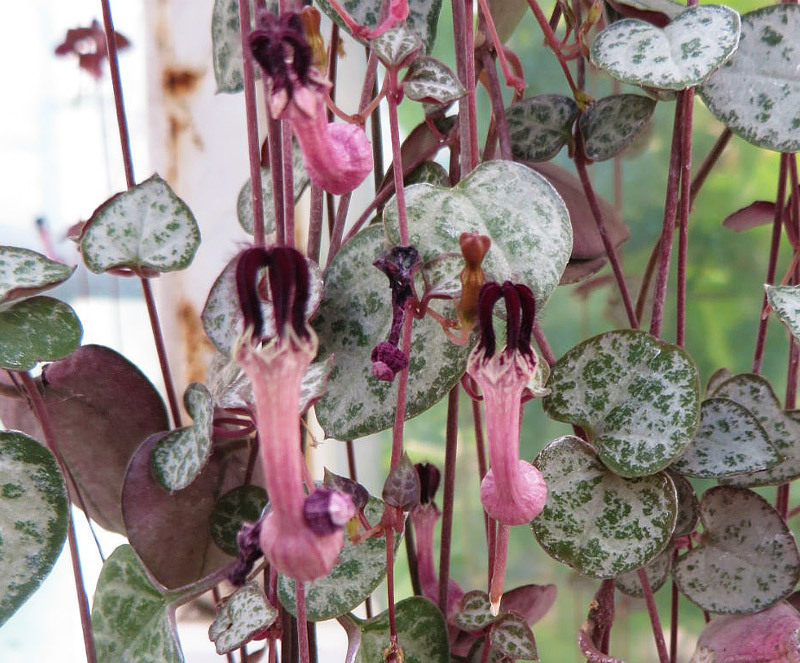 C. woodii is native to South Africa, Swaziland and Zimbabwe is better known by its common names, string of hearts or rosary vine. The small, variegated leaves can resemble hearts or arrowheads and are usually variegated as shown above. The flowers look like small, magenta vases. As the plant gets older, the vine can produce little tubers along the vines that resemble small potatoes. These tubers give it an appearance similar to a rosary vine. The trailing habit of the vines make this plant an excellent candidate for hanging baskets. String of hearts require excellent drainage and should only be watered when dry. Remove excess water and never let water sit in the hanging basket or saucer. Hang this plant in an area where it gets full sun. This sedum is native to Southern Mexico and Honduras. 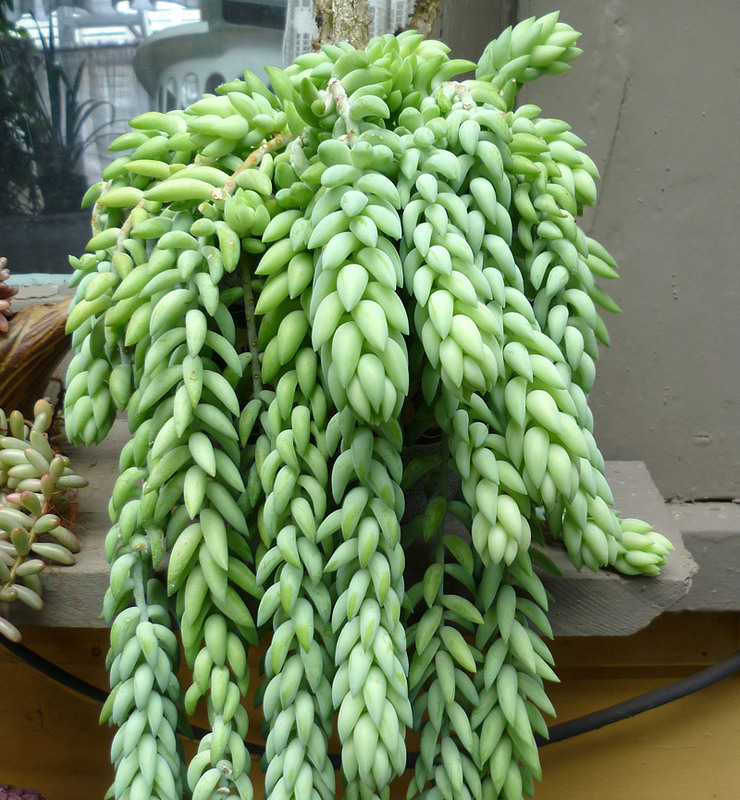 Better known as burro’s tail and donkey tail, the light green trailing foliage can grow 3-4 feet long. Burro’s tail doesn’t have unusual flowers like C. woodii, but it does produce pink or red flowers at the tips of the stems in the summer. Like all succulents, it does not like to be over-watered, especially during the winter months when the plant is dormant. Water regularly and evenly during spring and summer months when the plant is actively growing. 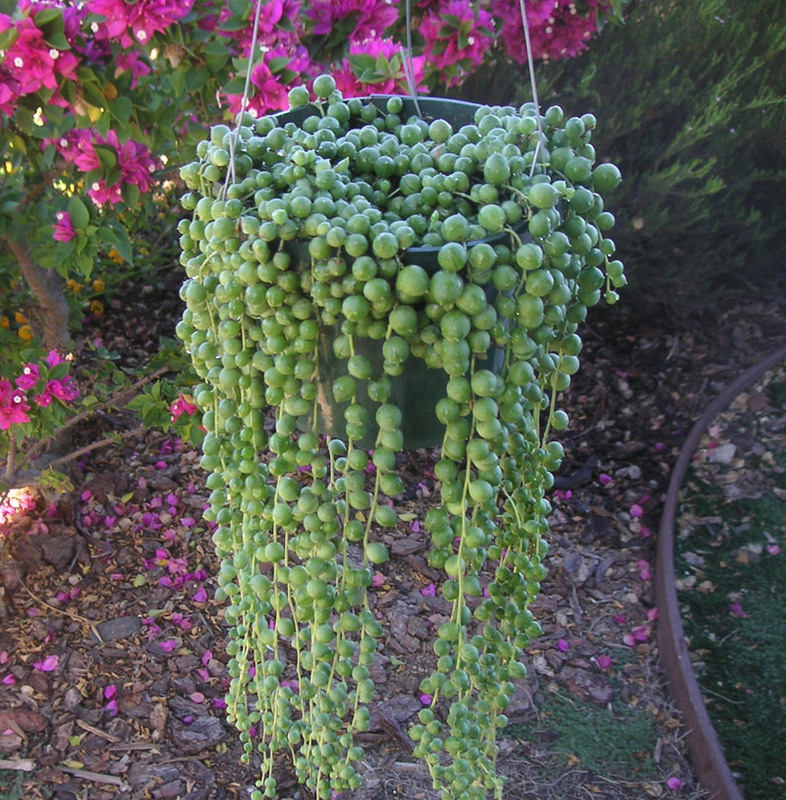 Hang your burro’s tail in a window or area where it gets full sun and the coloring of the leaves and stems will deepen. This native of Southwest Africa trails along the ground in its native habitat where it can form a dense green mat, but makes a great hanging plant. The common name string-of-pearls or string-of-beads comes from the rounded leaves that look like small peas. Like the two unusual succulents featured above, this succulent doesn’t require a lot of water, but should be given full sun growing conditions. When happy, this succulent plant will send out clusters of small, white flowers that smell like cinnamon. These three unusual succulents are perfect for gardeners who want to grow different kinds of cacti and succulents, but don’t have the space to provided to potted plants and live in colder climates where planting a cacti garden isn’t possible. 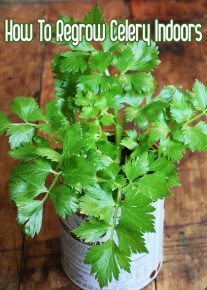 The two biggest challenges you will face growing these plants is making sure you do not give them a lot of water, and providing a lot of sunlight to them. But if you can provide them a sunny window to hang around in, you’re pretty much guaranteed success. And while these succulents are grown for their interesting and unique foliage, you will be rewarded by small, interesting flowers when they’re happy.